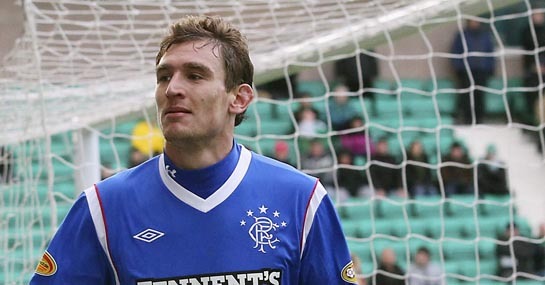 Nikica Jelavic is the latest player to be linked with a move to QPR this January and, based on the Hoops’ recent record, his arrival can’t come soon enough. Neil Warnock has made no secret of his desire to add players to his squad and Jelavic would appear to fit the bill for the west London side. The Croatian has hit the net 12 times already for the Gers in the Scottish Premier League this season and scored in their 2-1 win over Inverness Caledonian Thistle at the weekend. Finding the net has been a problem for the Hoops, with Warnock’s men having the worst home attack in the league and the 19th worst overall. Last season’s star player, Adel Taarabt, has failed to make an impact on the Premier League following his 19 goal season in the Championship last term and has not hit the net once so far in the top tier. Heidar Helguson has helped plug the gap by banging in six league goals but there is only so much longer they can keep relying on the 34 year-old Icelander. It’s an undoubted gamble going for a player scoring in Scotland, with the likes of David Goodwillie and Kenny Miller both struggling to replicate their form in front of goal south of the border. However, QPR desperately need some extra firepower up top if they are to survive in the Premier League beyond one season. They have won just one of their previous eight league games and are currently only three points off the drop zone. The results need to change pretty soon for QPR otherwise they could be sucked into a relegation battle, making the current 7/2 offered for the Hoops to head straight back to the Championship look extremely generous.